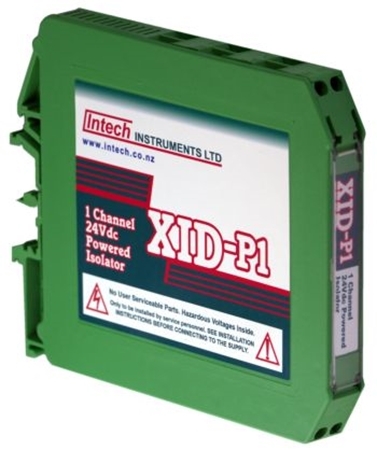 Intech XU2, DIN Rail Mount, USB Programmable, Universal Input Transmitters with easy to use setup software. A universal input with a large selection of input types and a Loop Powered 4-20mA Output. 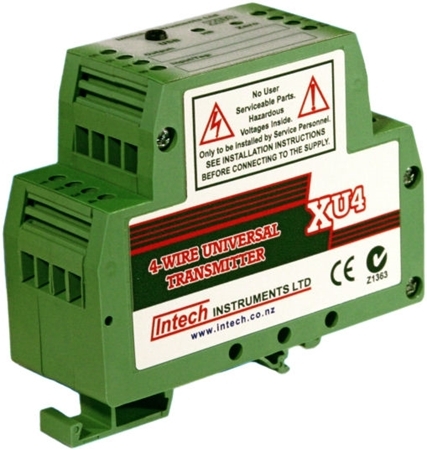 The XU Series of USB Programmable Universal Input Transmitters with easy to use setup software. 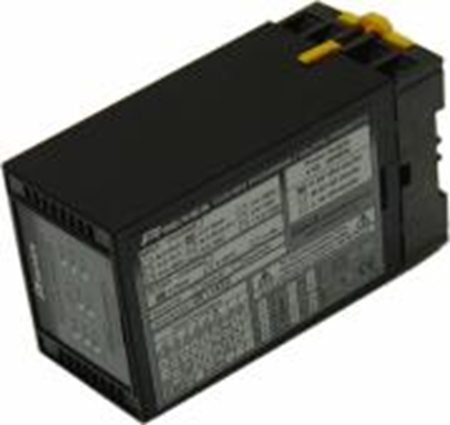 They have a Universal Input and Output and can be powered by AC or DC voltages. Isolating 4~20mA Input to 4~20mA Output Loop Powered Transmitter. 12.5mm Wide! Isolating 4~20mA Input to 4~20mA Output Loop Powered Transmitter. DIN Rail mounted transmitters with universal inputs and outputs and detachable programmable front. Isolating Bridge Input to 4~20mA Output Loop Powered Transmitter. 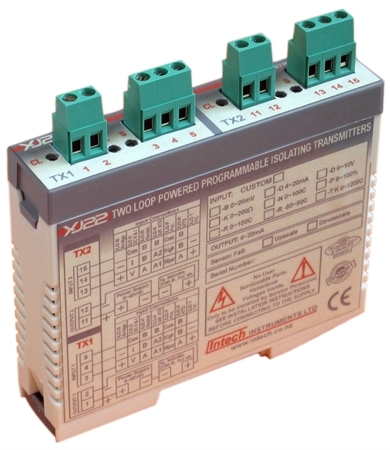 Programmable Isolating mV Bridge Input to DC Current or DC Voltage Output Transmitter. 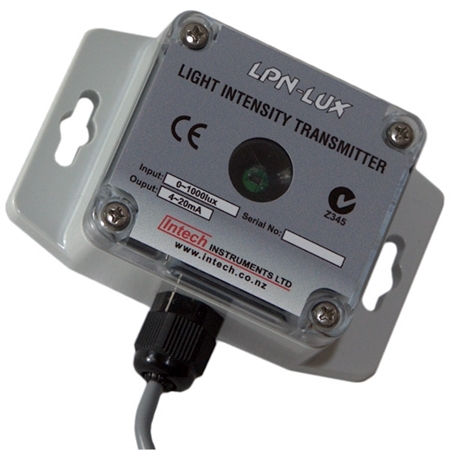 The LPN-LUX incorporates an integrated light sensor, in an industrial IP66 rated sealed enclosure, and is especially designed for high precision linear applications. The sensor has a flat glass window with a built in colour correction filter, giving an approximation to the spectral response in the human eye. The LPI-D has Current or Voltage input with 4-20mA loop powered output. Programmable, Isolating Frequency Input to DC Current or DC Voltage Output Transmitter. Programmable Isolating Frequency Input to 4~20mA Output Loop Powered Transmitter. Programmable Isolating 3 Wire Resistance Input to DC Current or DC Voltage Output Transmitter. Programmable Isolating Maths Function Input to DC Current or DC Voltage Output Transmitter. Isolating 3 Wire Potentiometer Input to 4~20mA Output Loop Powered Transmitter. Programmable Isolating 3 Wire Potentiometer Input to DC Current or DC Voltage Output Transmitter. 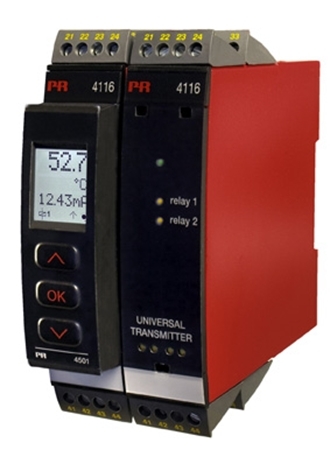 The LPI-pH is a loop powered, isolated, pH Cell input, to 4~20mA output transmitter, with integral Pt100 RTD temperature compensation, and LCD display of 0~14.00pH. 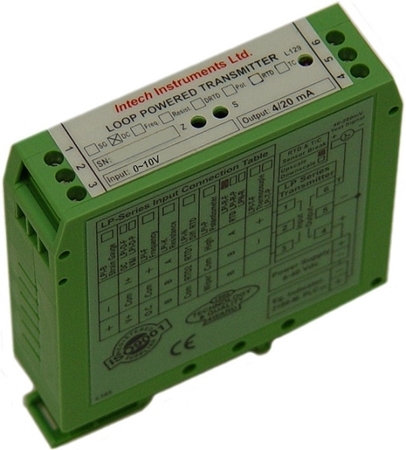 Programmable, Isolating, 3 Wire RTD Input to DC Current or DC Voltage Output Transmitter. 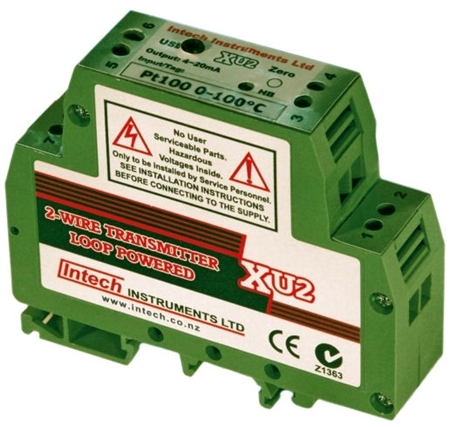 Isolating, Linearised, 3 Wire RTD Input, to 4~20mA Output, Loop Powered Transmitter. This PI-S is a very flexible, 2 set point module, with a solution for most 2 set point applications. Isolating Thermocouple Input to 4~20mA Output Loop Powered Transmitter. Programmable 3 Wire Potentiometer Input to 4~20mA Output Loop Powered Transmitter. XJ22 is a Dual Input and Dual output transmitter, 2 transmitters in one.